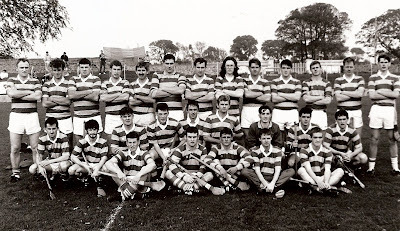 Back Row (L to R): John Mulligan, Tomás Walsh, Seán McGrath, Ger Collins, Conor Clancy, Ian Kiely, Michael Collins, Gavin Breen, Brian Hennessy, Johnny Shields, Dermot Ryan, Justin Walsh, Dwain Moore. Middle Row (L to R): Gerry O'Connor, Séamus Lambert, Dave Sheehan, Alan Ryan, Michael Enright, Jimmy Healy, Brendan Landers, Mark Reynolds, Damien Cliffe. Seated in Front (L to R): Jonathan Moore, Paul Breen, Liam Byrne, Luke Brennan, Paudie Shields. 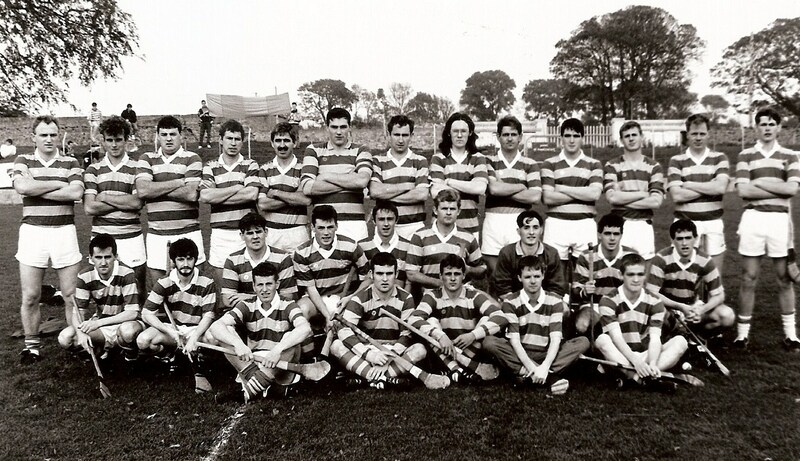 This week's photo shows that Abbeyside Intermediate Hurling panel that drew with Erin's Own in the 1994 County Final at Fraher Field. Defeat in the replay consigned the team to another year outside the county's premier hurling competition.